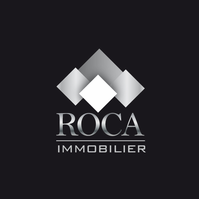 Buy a property in châtel - Agence immobilière : Roca Immobilier spécialiste de la location de chalet et d'appartement à Châtel et dans la vallée d'abondance. Pour un séjour à la montagne inoubliable réservez vos vacances ici. Made up of some forty 2 to 5 room apartments divided among a group of chalets, the residence blends harmoniously into its beautifull surroundings. A general guide and brief introduction to the "buying procedure"
is the conveyancing process in france similar to that in England? What is the compromise de vente? Prior to the signature of the compromis de vente, the vendor must supply certificates relative to inspections for asbestos, lead, termites, electricity, gas, energy performance and natural and technological risks. these inspections are carried out by fully registered and insured experts who are approved by their local prefecture and are specifically designed to project you the purchaser. on the signature of the compromis de vente a deposit normally of 10% is paid by the purchaser and held in an escrow account by the notaire until completion takes place. can i take money into and out of france freely ? When buying off plan a contract called a contrat de réservation will be used and the deposit will be 5 to 10%. The building of the property may not have started and the contract will specify the payment schedule. Payments are made at each stage of construction. Your morgage company wil continue the stage payments after you have paid your contribution but will always check with you prior to forwarding a payment. prices on new "off plan" properties are not normally negociable. An intimate break for two, a family holiday,a weekend with your friends... Whatever you choose to do here, in Chatel you will find everything the perfect village resort has to offer. A lively village centre, perfectly preserved mountain architecture, skiing in the vast unspoiled spaces of the Portes du Soleil, with little side routes here and there that you can follow on foot, on snowshoes or on skis. The countryside is as magnificent as the old chalets in the valley. Here, the atmosphere is a tempting mixture of a tranquil way of life, friendliness and fun! The village possesses a top selection of traditional French restaurants, a diverse range of bars with a great apres-ski atmosphere and live music nights, plus a late night bowling alley. Of course all of your shopping needs are catered for too, plenty of ski shops, a range of souvenir shops, plus a selection of specialty food shops so you can stock up on Savoyard sausages and cheese. On arriving at the end of the valley, just before you reach the Swiss border, you come upon Chatel nestling in a valley in the middle mountains, a delightful blend of attractive houses, mountain pastures and forest... Looking at Chatel, you can see it is peaceful...The mountain traditions have been respected. The chalets have been built in a style that blends beautifully with the traditional architecture. There are no large buildings, only small houses and chalets that fit perfectly into the scenery. Located in the heart of the Portes du Soleil between Lake Geneva and Mont Blanc, Chatel is just 20 minutes from the Swiss motorways, 1 1/4 hours form Geneva international airport and 45 minutes form Thonon-les-Bains railway station.